MANILA, Philippines - The country's phenomenal loveteam of Alden Richards and Maine 'Yaya Dub' Mendoza collectively known as AlDub is set to break another record on Eat Bulaga's "Sa Tamang Panahon" (At The Right Time) #ALDubEBTamangPanahon event for a cause at the Philippine Arena in Bulacan today, October 24, 2015. Netizens who will not be able to witness the biggest event of AlDub in history at the arena and on national television can still catch their 'perfect moments' through livestream online. Eat Bulaga's livestream video for Saturday's #AlDubEBTamangPanahon is available on this page courtesy of respective sources on Youtube, UStream and Twitter. '#ALDubEBTamangPanahon' to break Guinness World Records for most popular hashtag? Note: GMA Network and Eat Bulaga official livestreaming video here. The live broadcast of Eat Bulaga will start at 11:30am Saturday with front act performances at 10am for those who will make at the Philippine Arena. 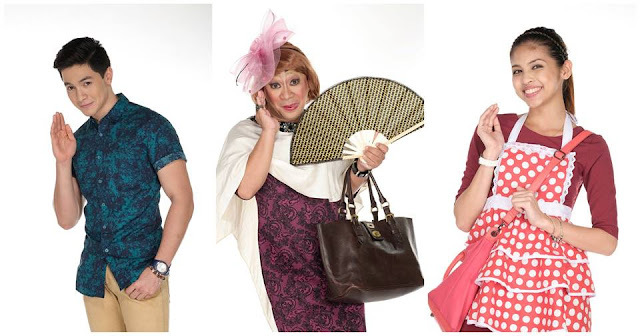 What to expect on Kalyeserye today? As Lola Nidora (Wally Bayola) officially announced on October 17 the great news for the split-screen tandem of Eat Bulaga, fans known as the AlDubNation celebrate as their idols will finally have independence to act as a loveteam that can talk, free to hold each other hands and even kiss if they want. However, Lola Nidora still warned them to maintain her trust amidst the 'Tamang Panahon' watchword given to them. Alden is also expected to sing once again Bryan White's 'God Gave Me You,' the official theme song of AlDub. Tatlong araw na lang, TAMANG PANAHON na! In just few hours after the announcement of ticket prices, availability and proceeds of the AlDub event last Saturday, the TicketWorld website crashed as the fans influx of ticket purchase slowed down the site. Two days after the grand reveal, tickets with price of P1,200, 600, 350 and 150 were already sold out. Fans to fill-in the world’s largest indoor arena which has a maximum seating capacity of 55,000. Eat Bulaga said that 100 percent of the show's proceeds will go to the AlDub Library project, the contruction of chosen institution's libraries nationwide. AlDub fans in the Philippines or abroad are also encouraged to donate for the library project by depositing to their peso or dollar saving account.